In my family, if you die, get sick, have a car accident, have a baby, have a potluck, have a family reunion, have a picnic, get bad news, get hungry, or get last minute dinner guests…You get a Country Casserole! This is our standard family casserole. It shows up everywhere! Why? Because we love it! 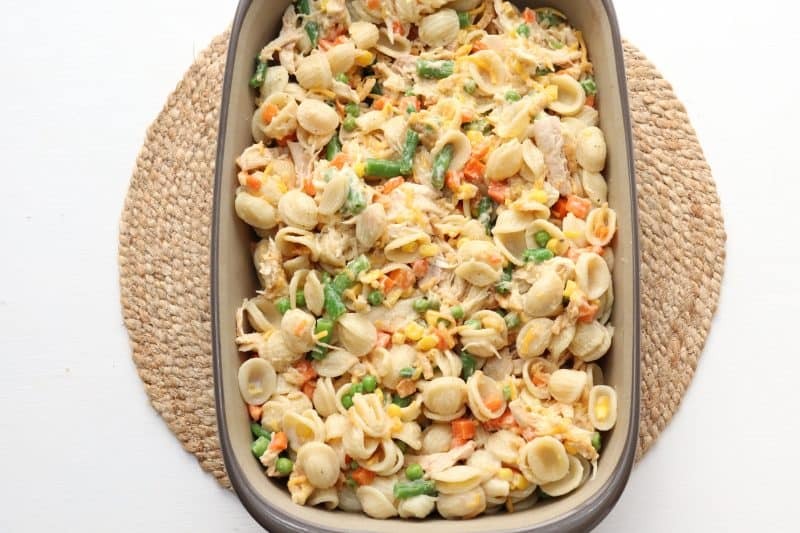 This casserole is quick, easy, filling, great tasting, an inexpensive way to feed a crowd, a complete meal in one, freezes AMAZINGLY well, can be made even MORE easy by using canned chicken when you’re not in the mood to cook chicken ahead of time, and more importantly, its my husband’s personal favorite. There! You ready for the recipe now? 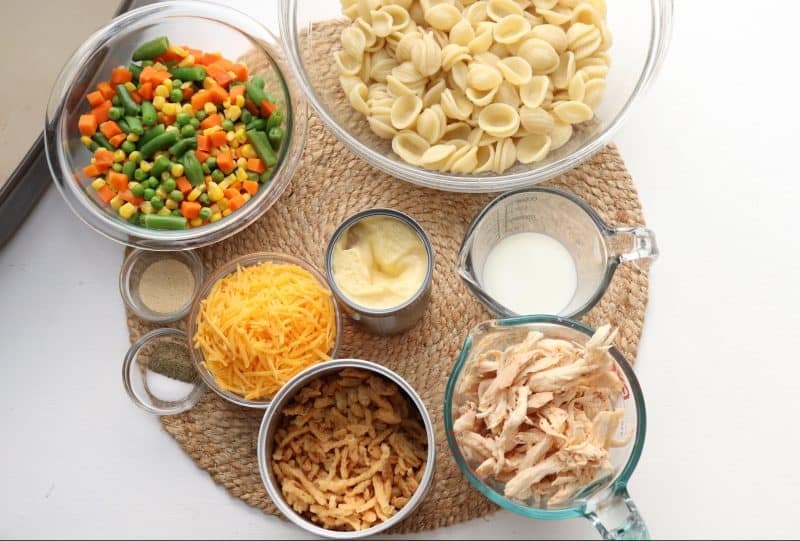 You’ll need: small shell pasta (or pasta of your choice), chicken, cream of chicken soup, garlic powder (just a bit), milk, shredded cheddar cheese, canned french fried onions, and frozen mixed vegetables. Also some salt and pepper. I’m warning you: I never make just one of these casseroles because they freeze so incredibly well. With the effort of a single casserole and just a little more cost wise you can have an extra casserole anytime you need it! I go into some nifty reheating instructions as well as convenient storage instructions for the extra casserole later in this post. Cook pasta according to package directions and drain. Cover frozen mixed veggies with water and bring that just to a boil, boil for a minute or two, then drain those. 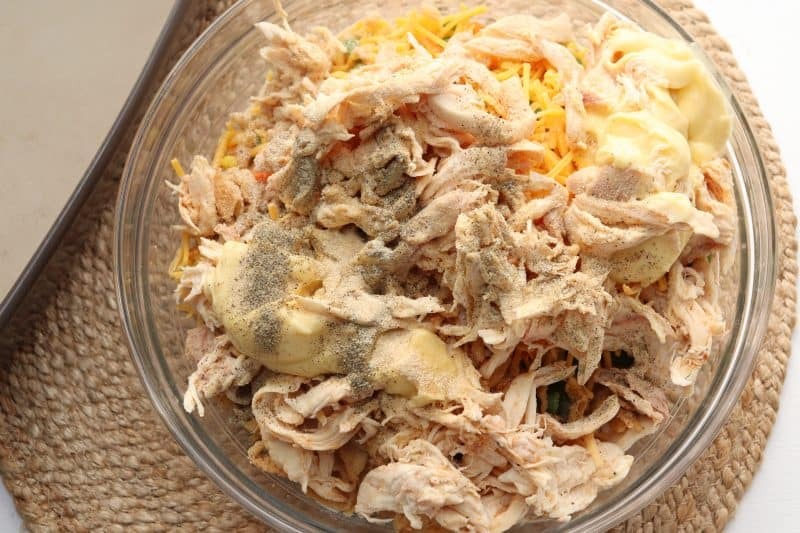 Place chicken, pasta, veggies, cream soup, salt, pepper, garlic powder, milk, half your cheese, and half your onions in a large bowl and stir well. Spoon this into a 9×13 baking dish and bake at 350 for about thirty minutes. Remove from oven and top with more french fried onions and more CHEESE!!! Return to oven for a few minutes until all of the cheese melts. Oh this is so good! Enjoy my family’s favorite casserole! Combine everything in a large bowl, reserving half of the cheese and half of the onions for topping later. Stir well to combine. Spoon into 9x13 casserole dish. Bake for 25-30 minutes. Top with remaining onions and cheese, return to oven until cheese is melted, about five minutes more. Freezing options: Prepare up through step #2 and then simply spoon it into a gallon ziploc bag. Lay the bag flat so that it will thaw out quicker and place it in your freezer. On the day you want it, take it out the night before and refrigerate or place in fridge that morning. If you forget to do all of this, no sweat! Just microwave the bag until it thaws just a bit, pour into your casserole, and bake! To bake a casserole that is still frozen, simply place in the oven while the oven preheats. 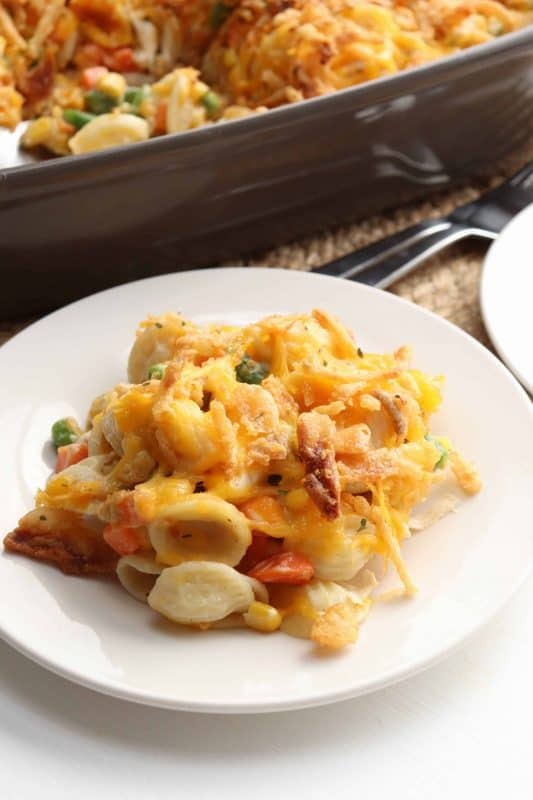 This allows the casserole to thaw quickly and then bake to perfection! Peach Preserves That Will Knock Your Socks Off – And you won’t believe how easy they are! 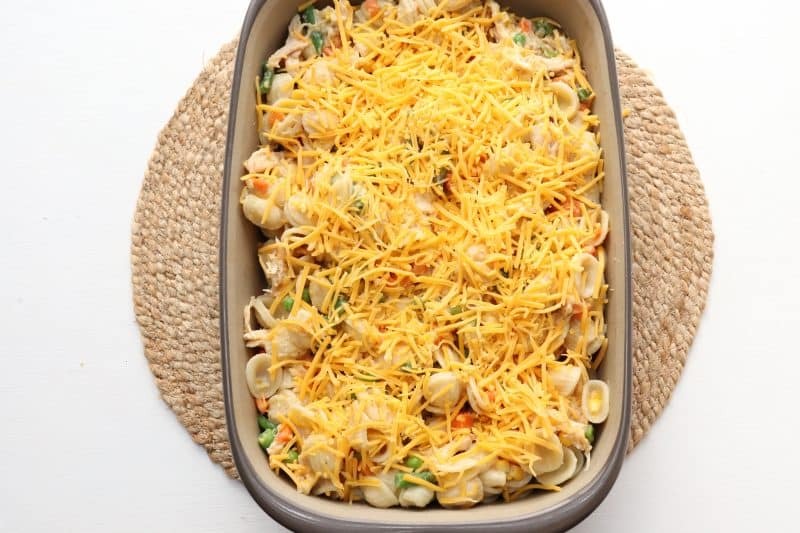 Wow, that is definitely a delicious looking casserole, and it looks so easy too! I love the idea of freezing the extra in a bag, instead of having to freeze an entire pan and have that be taking up freezer space. You are brilliant. Cream of Chicken soup. You can use it in just about anything! Maybe we can start doing the laundry with it! Kidding! 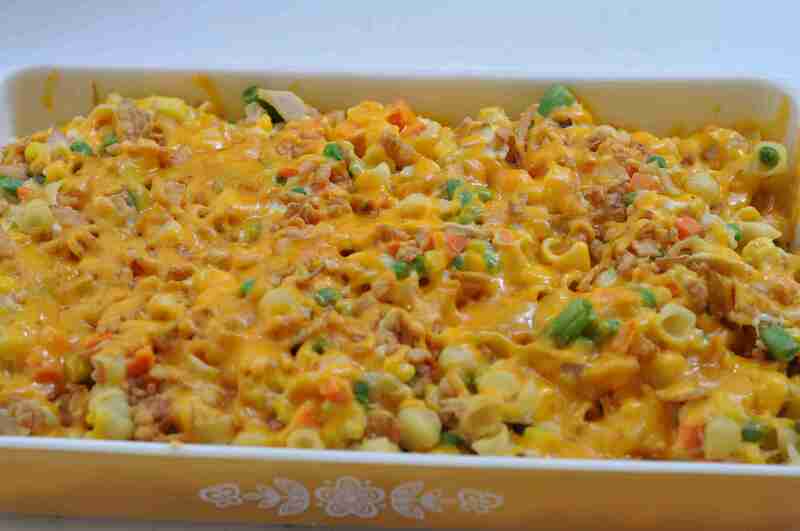 This looks like a nice heatry casserole. This looks really good Christy. 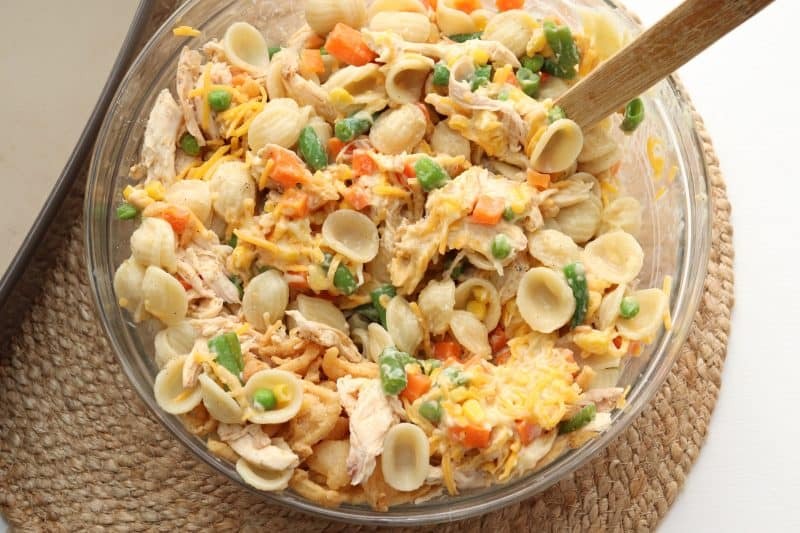 I love mixed veggies, pasta and cheese oh my how can you go wrong. I dont think my kids will eat the casserole with the french fried onions on top. I could add it to half of the casserole and not on the other half. I know it sounds corny but that way we can enjoy the onions as well and then they can eat it. Now i have seen this one! YUM! Your cake was a smash hit lastnight Christy! I made it the night before except the butterfinger topping and I let the caramel really soak in the cake int he fridge, then added the topping an hour before and let me tell you that cake ROCKED some socks off! Oh and Connie my GF from Fiskateers said she is now addicted to your site and ordered your cookbook! She loves YOU! I hope you have an amazing day! Jerseytjej: I’m THRILLED to have you at Southern Plate! Welcome Aboard!!! You know I think of you every time I think of real butter now! Tina: My kids won’t eat the french fried onions on top, either. I can get away with putting them inside though because you can’t really notice them after it bakes, but they are very noticeable if you put them on top. You’re just your everyday mom having to juggle one more thing to make everyone happy! We’re all saints, I tell ya! Pinky: I swear, companies need to hire you for advertising!! I am so thrilled you love the cake and can’t thank you enough for the gorgeous picture and wonderful review on your site! I plan on using it in a future post idea! 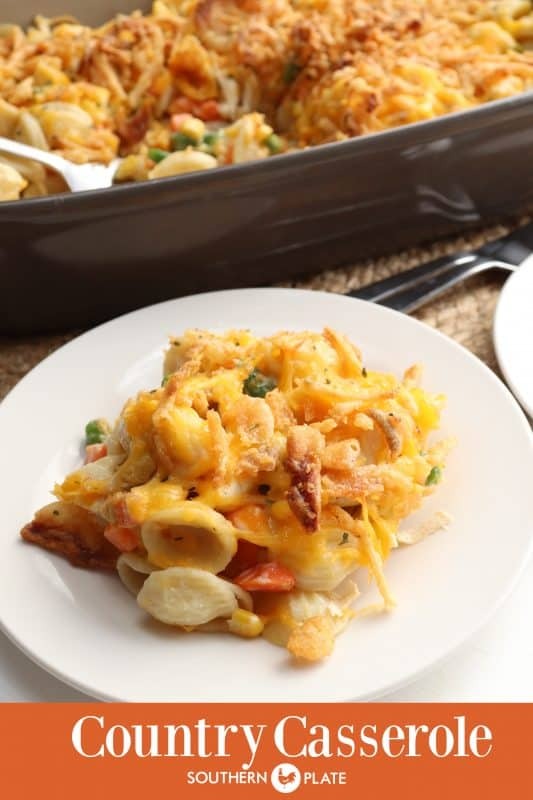 Holly: It is one of my favorite weeknight quickies! I hope you like it!!! Wow, this sounds awesome and easy peasy.. will try this to take to my family stuff! Thanks! City Cowboy: Thank you so very much and welcome to Southern Plate! As for me beating Miss Paula’s chicken: A Southern Lady knows better than to say her cooking is better than that of another Southern Lady! I shall not venture to attempt to trump Miss Paula. Besides, everyone knows that the best fried chicken on earth is what is served in your own kitchen! You keep coming back now, I got lots more recipes up my sleeve! I too was referred here by Pinky and am totally addicted. I’ve already made the lasagna and pizza rolls. Both were BIG hits. I have all kinds on the “must try” list. I always wonder one thing about recipies with pasta. Are the measurements given in the recipe for cooked or dry pasta? I assume the 2 cup quantity here is the dry measure…. TraceyT- By default, most recipes are referring to dry pasta. However, everyone shares your confusion and that is why the majority if them to specify “dry” or “uncooked” pasta. If your recipe doesn’t specify, I would go with an uncooked measurement. 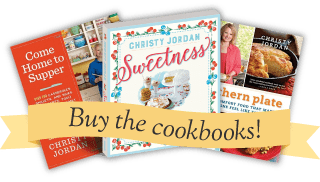 I am so thrilled to have you at Southern Plate!Thank you for letting me know how the recipes have turned out for you, nothing thrills me more! 4I just made this dish for Sunday dinner and it is delicious✨ I made only a few adjustments. I used broccoli instead of mixed veggies. I also seasoned my chicken with jerk seasoning, since my family is Jamaican. Next time, instead of one 4th milk, I will use sour cream to make it a little more creamy, and dense, thank you for this recipe. I just made this casserole and we loved it! I think the next time I make it (which won’t be for a while since I put up 3 gallon ziploc bags in the freezer) I’m going to add a pack of powdered ranch and some bacon bits! You done gone and done it! I have two whole chickens in the freezer and I’m using one of them for this. I’m going to use reduced fat cheese, brown rice or whole wheat pasta and 98% fat free soup. That will cut the calories, fat and add fiber. Instead of the French fried onions I’ll use seasoned panko bread crumbs. I might actually be able to “healthy” this up a bit. Yum..I’d love to have it “as is” but I’m loving my baggy britches way too much. Rachel, I’m so glad you liked it! I’m especially glad you put some in the freezer, you are going to LOVE that! I have appointments all day today and just remembered (thanks to you!) that I have one in the freezer! Time to pull it out! Gail: Great ideas! I often use whole grain pasta when I’m dieting. I don’t with this, though, since the whole family eats it. My wee ones (and the biggest child, a.k.a. husband) turn up their nose when I change it as they like it as is so much! Oh well, they have ENTIRELY different metabolisms! WOW, This was delicous! My husband and three children loved it. I will be making this again next week. HaHa. Hey Christy! I just made this for our dinner tonight and it is so very good! I can’t wait for my hubby to try it! Again he is going to be a smash at work! *grins* 🙂 I hope that you had a wonderful time on your trip! Yum! This was delicious! Thank you! I gave this recipe to your Mama, but mine never looked as good as it does in your pictures. The working Mother always looks for something that can be pulled together quickly for supper during the week. I doubled this recipe and kept enough out to cook one meal and freeze the rest. I used zip lock bags like you suggested. I was worried that my boys may not like all the veggies, but I didn’t have one spoonful left. They kept coming back for more. I did used 2% milk and 98% Fat Free Cream of Chicken soup. YUMMY!!! This recipe is a KEEPER for sure!! THANKS!! I made this for dinner tonight and let me say WOW, even the kids loved it. I LOVE french fried onions and anything to put them in. I always put more on one end for myself :)I just found your site on Friday and have already made 5 things from it. Tomorrow I am making chicken stew…I cant wait. This was absolutely delicious! A favorite with the husband as well! Super, thanks so much!! This was really really good! 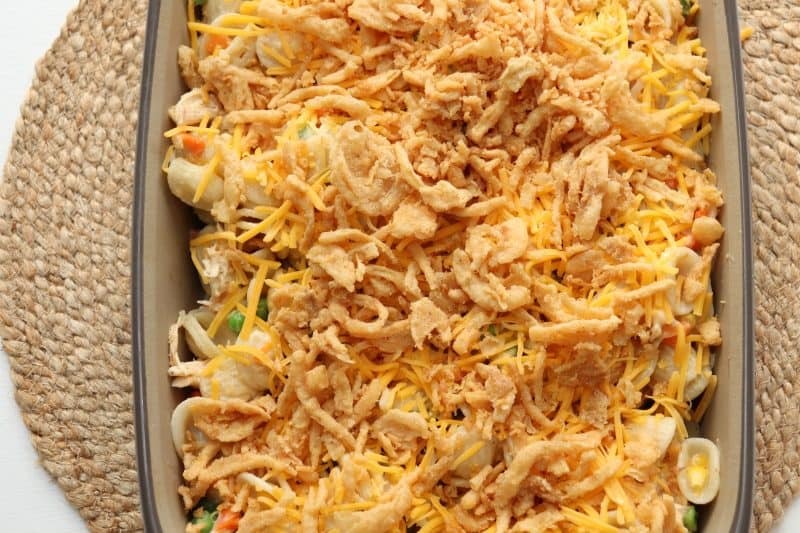 I used to eat these casseroles at my (southern) grandma’s house. Since moving to Holland (my husband is dutch) I try to make “a taste of home” as often as possible. He totally loved it! And I’ve made this recipe for family and friends and there is never any left! I made this the other night for an easy dinner; my family loved it. Christy I have yet to make one of your recipes that my family doesn’t love – THANK YOU! I just found your blog recently and I’m loving it!! I’m making this casserole as I type and since I just re-joined a weight loss group that “free” veggie soup is calling my name!!! Thanks for all the wonderful recipes! I like the idea you gave of freezing this cassarole. I will make a double batch and freeze it for my daughter and family and when I go see her I can take it along in a zip bag and make it for them in a jiffy. Wonderful idea Christy and I know everyone will love it! Great to keep on had for drop in dinner guests. Thanks!